Dinosaurs had feathered, chestnut brown tails with a pale underside, a newly found specimen reveals. 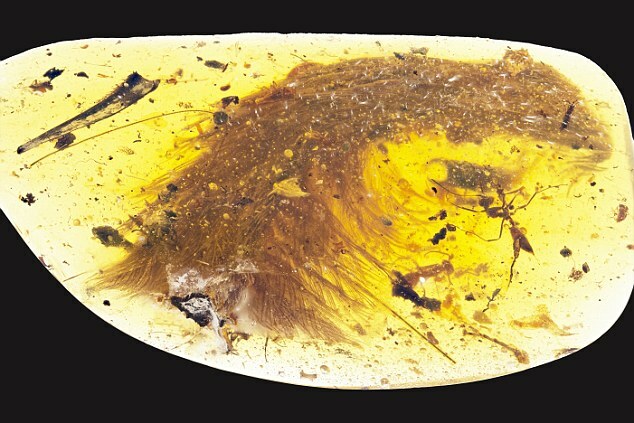 The tip of the tail was found preserved in an ancient blob of amber tree resin. It belonged to a small, flightless dinosaur that lived in the mid-Cretaceous period around 99 million years ago. 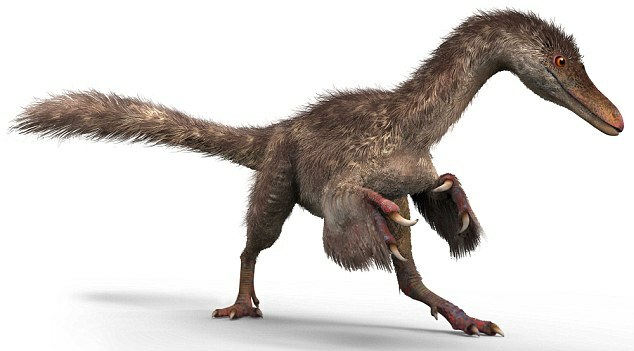 And the rare find sheds light on the evolution of feathers from dinosaurs to modern birds, which cannot be gleaned from normal fossil remains. 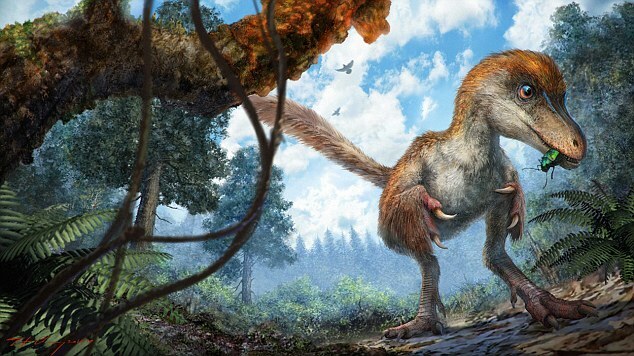 The incredible discovery – plucked from a market in Myanmar – reveals the feathered tail of a non-avian theropod that perished approximately 99 million years ago. Dr Paul Barrett, from London’s Natural History Museum, described it as a ‘beautiful fossil’. 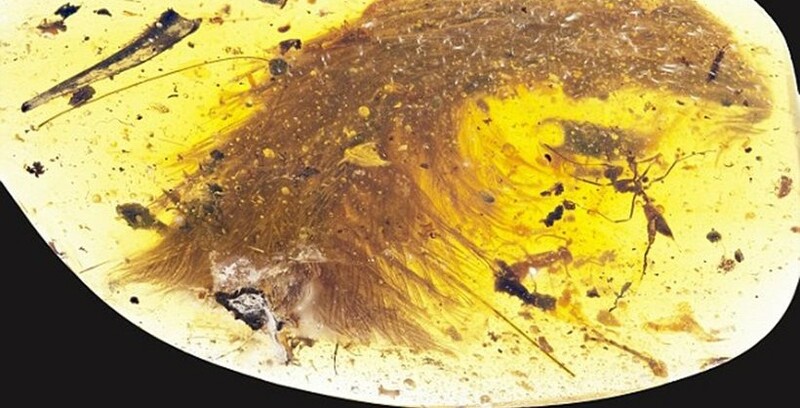 While the feathers aren’t the first to be found in amber, earlier specimens have been difficult to definitively link to their source animal. Dr Ryan McKellar, Curator of Invertebrate Palaeontology at the Royal Saskatchewan Museum in Canada, said: ‘The new material preserves a tail consisting of eight vertebrae from a juvenile. ‘These are surrounded by feathers that are preserved in 3D and with microscopic detail.